Sonic the Hedgehog is the title character and main protagonist of the Sonic the Hedgehog series and Sega's mascot. 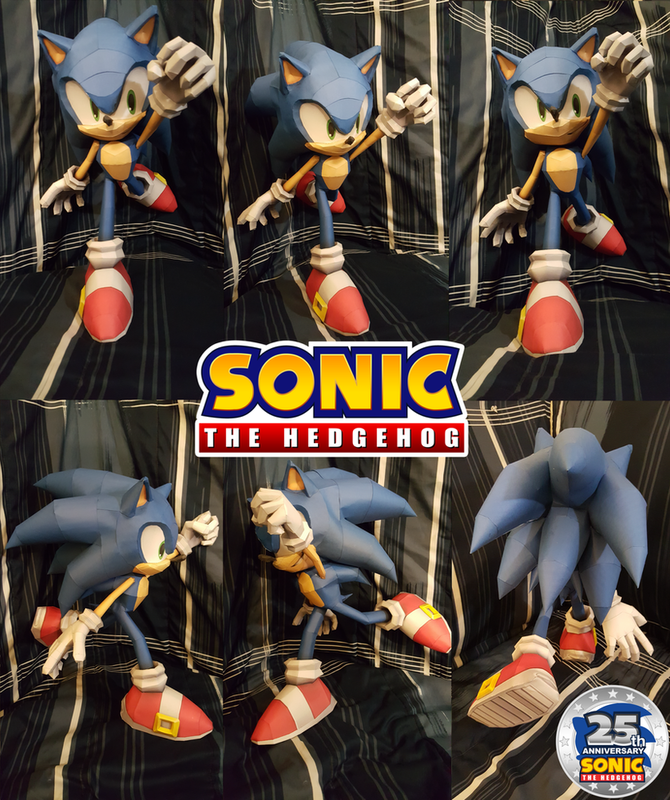 He is an anthropomorphic hedgehog born with the ability to run faster than the speed of sound, hence his name, and possesses lightning fast reflexes to match. As his species implies, Sonic can also roll up into a concussive ball, primarily to attack enemies. Build Order: Just follow the video :D . For additional information open the Edge ID pdf I included in the pack. Notes: Sonic was built by SuperRetroBro. Thanks for building! The package does NOT contain a .pdo file.